These career advancement tips are not instant solutions to your career challenges. They are work values you can practice to help you advance in your career. You have just left college and started on your first job. Although you know what your role is at your work place, you are also eager to make an impression. Remember that when you practice these career advancement tips, the results are not immediate. You will only begin to see their values when you start to internalize and act upon them naturally. If you want career advancement, then do everything fueled by the heart. While your brain provides the knowledge, your hands and legs provides the skills, and your heart provides the passion. Fuel every task with passion. When you work full heartedly, your quality shows. Someone who has the skills and knowledge but do not have the heart to complete the given task can only do a good job. To do a great job, you not only need skills and knowledge, you need heart. Perfection comes when passion meets skills and knowledge. Approach your work with all your heart and you will advance in your career, successfully. Many freshies I have come across and worked with are very excited to demonstrate what they know and learned in school. However, they forget that sometimes experience is needed to complement what is learned in the academic world. As a freshie in the workplace, you need to take heed of what your seniors and bosses advice you. Pay careful attention to what they are trying to tell you. Some things only experience can teach you. The finer points of any industry can only be learned when you take heed of advice from elders in the industry. Have the hunger to know more and learn more. Have the hunger to want to go further and do more. If you want to advance in your career, always be hungry for relevant skills and knowledge. Always be hungry for excellence in your work. One of my ex-bosses used to tell me, when you do a good job, you earn your salary and your current position. When you do an excellent job, you give me reasons to give you an increment and a promotion. The hunger to want to do more and do better quite naturally makes you a competitive advantage in your unit. People will notice your constant pursuit of excellence and that will make them want you to work for them and keep you on the team. You increase your value to the company. This is one of the career advancement tips I continue to practice till today. As a freshie, you lack experience at work and you will find a lot hindrances. These hindrances coupled with your eagerness to demonstrate your prowess at work will frustrate you. Some challenges and obstacles are real. It could be related to your lack of skills and knowledge to complete a task. You may perceive yourself to know how to do the task but in reality you may not be equipped to do so. When faced with hindrances, seek help. Do not be egoistic to not do so. No one knows everything. When you seek help you learn a new skill. Some hindrances are more people oriented. They can be difficult colleagues simply testing your patience. When I was a freshie, how I approached this hindrance was to see it as a rites of passage. They want me to give them a reason for respecting my input and my work. When faced with such colleagues, practice patience. In extreme cases, you can seek help from your immediate boss. As cliché as it sounds, hindrances only serves to make you learn more if you view them positively. To balance off the career advancement tips of heed, hunger and hindrance is humor. 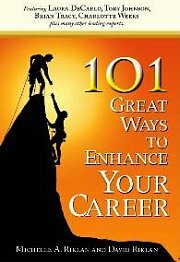 I can still remember some of my personal experiences related to these career advancement tips. Imagine how stressful it can be when they all happen together. Imagine the stress of having to deal with this situation - You are supposed to take heed of advice and remember it, especially when it is due to a mistake. You need to be hungry for excellence. You get hindrances from colleagues because you are new. In addition, hindrance to complete some tasks due to the lack of experience. How do you deal with it? One of the best ways to deal with all these is to have a sense of humor. Laugh at yourself a little. When the going gets tough, laugh. While you need to be serious with your work to increase your chances of career advancement, it doesn’t mean you cannot relax. Sometimes you have to say - it’s only work. Having a sense of humor allows you to minimize the stress at work. These are the 5 quick yet important career advancement tips a freshie can practice at work immediately. With constant practice, you can make it a habit and it would seem effortless before you know it. Long as he is popularly known runs www.career-success-for-newbies.com with his wife Dorena as their way of paying it forward. Their website – based on their real life experiences - provides tips, tools and advise for newbies pursuing career success. Download a FREE copy of their mini eBook titled “Career Success Recipe for Newbies” at the website now.